That's it. Some guy in a suit. What do you want from me? 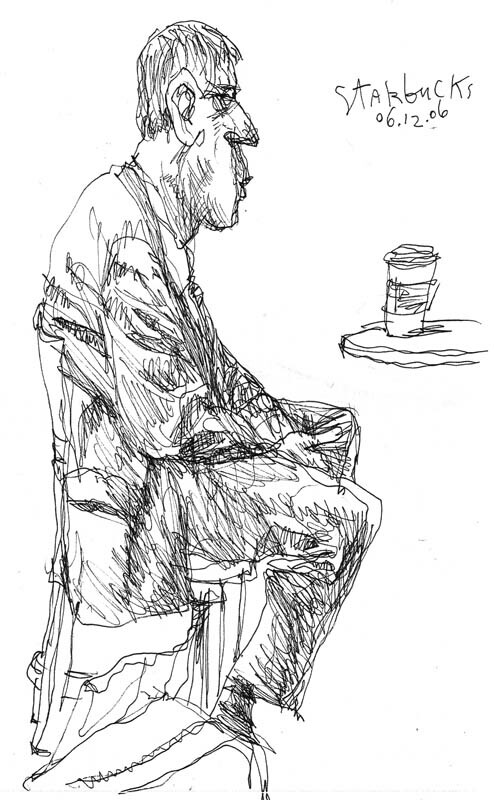 He was sitting there, I drew him. End of story. June 12, 2006 by Walt Taylor.